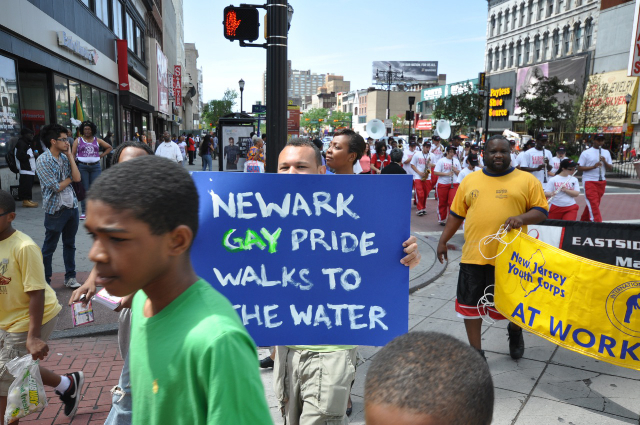 Newark Walked to the Water! 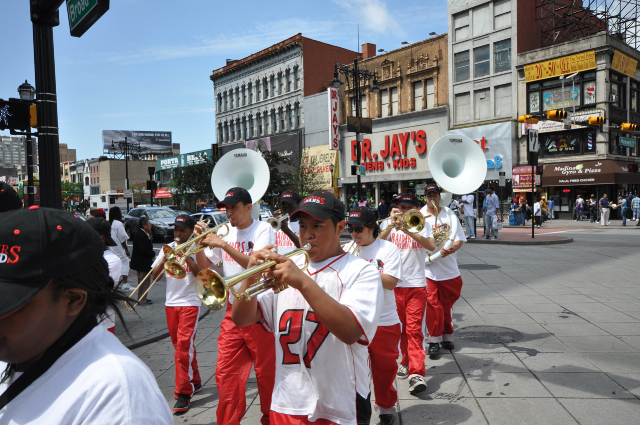 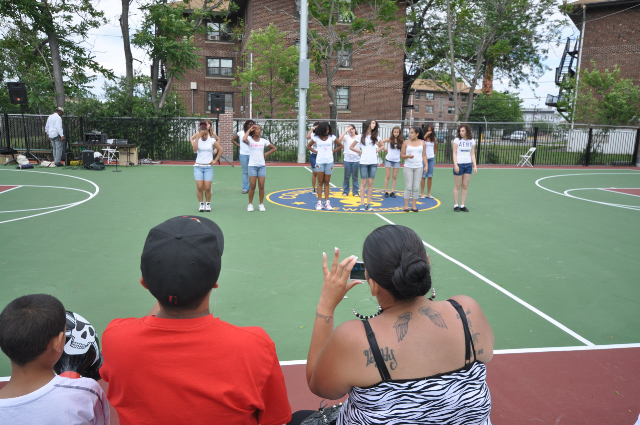 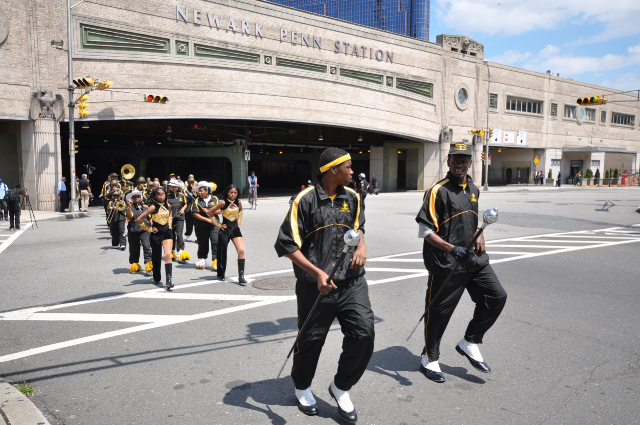 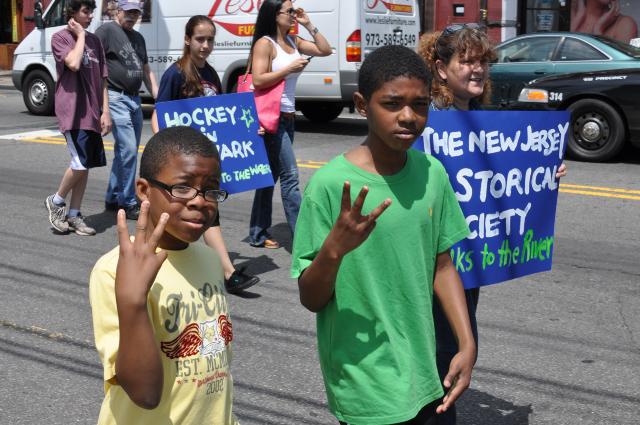 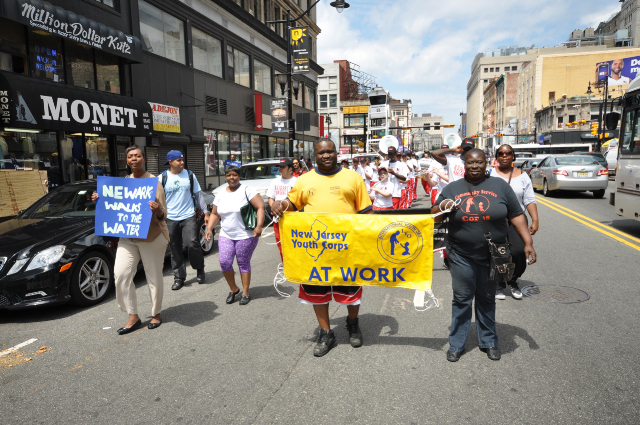 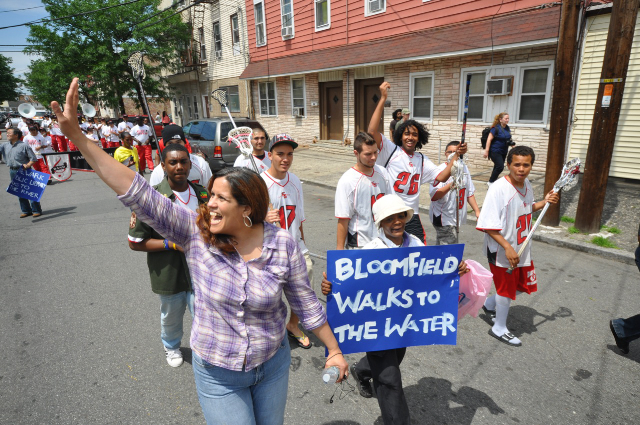 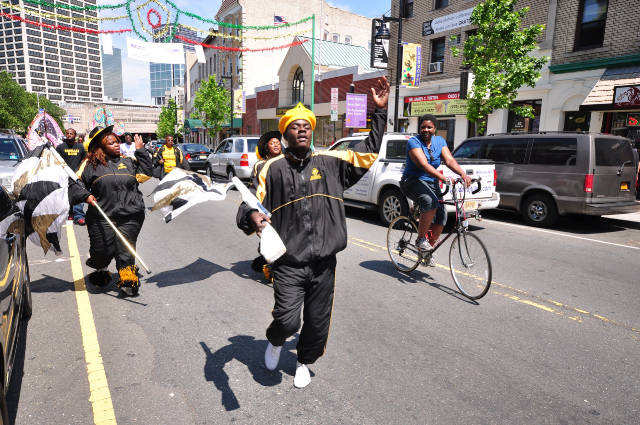 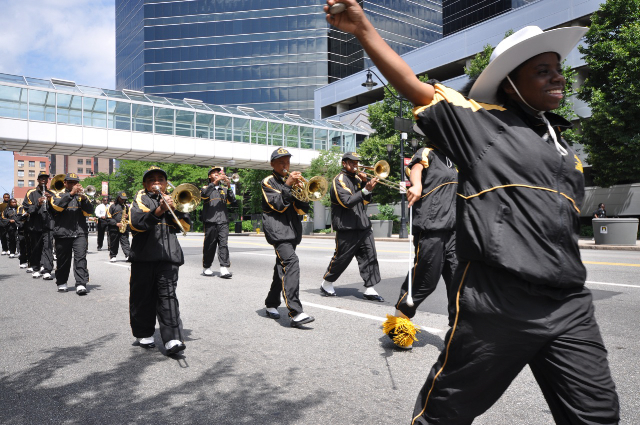 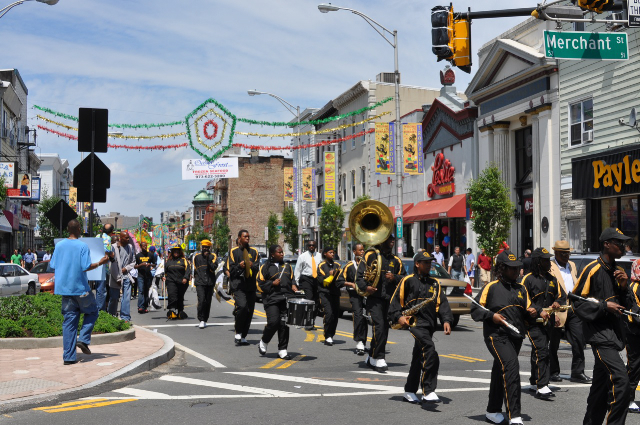 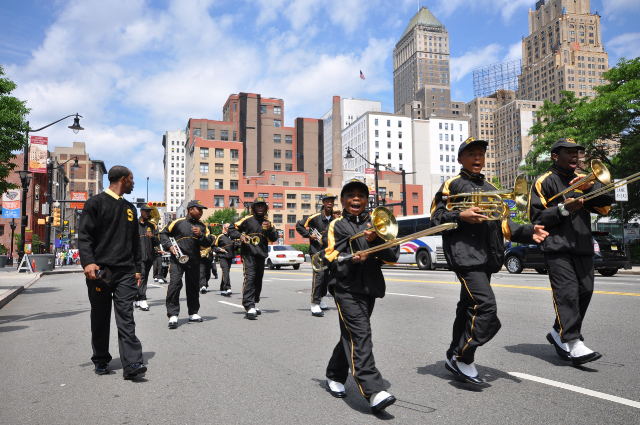 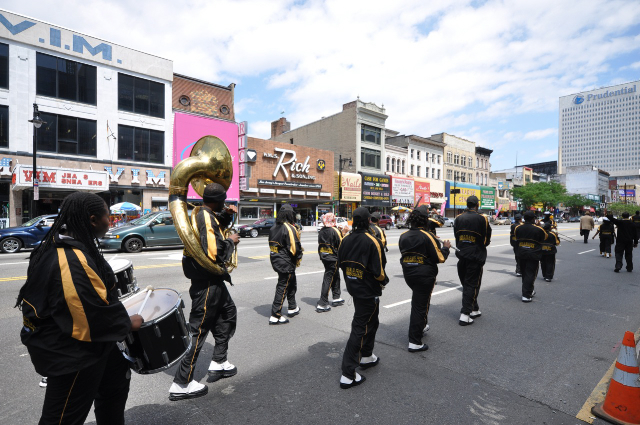 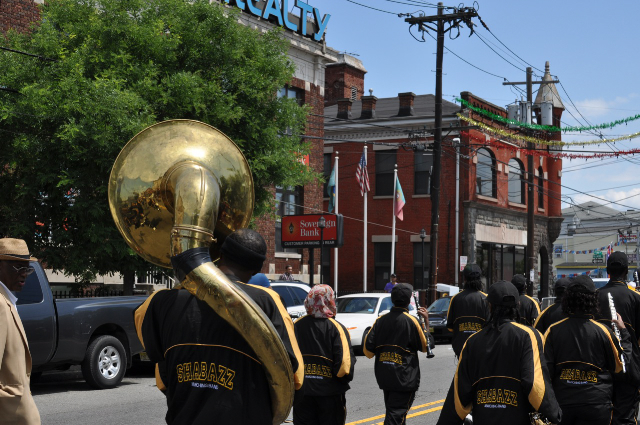 On June 2, Newarkers gathered from all five wards and beyond to walk with the Malcolm X. Shabazz & East Side Marching Bands from City Hall to the Passaic River. 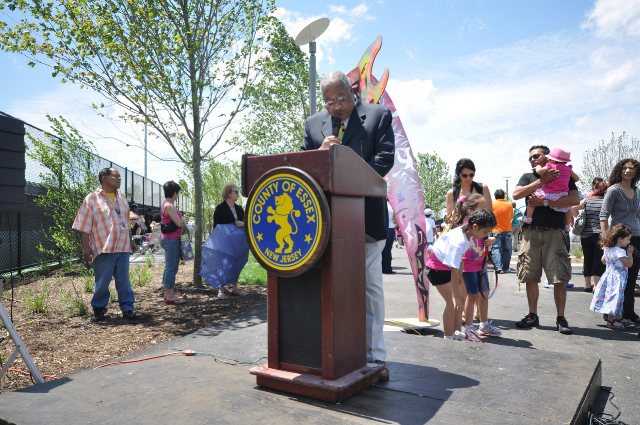 This entry was posted in Public Programs on June 6, 2012 by NRR. 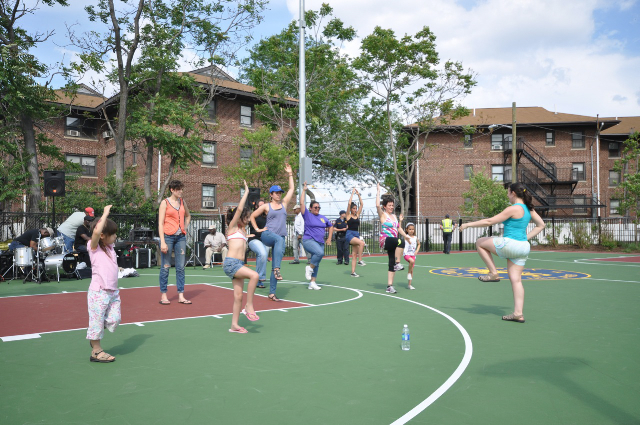 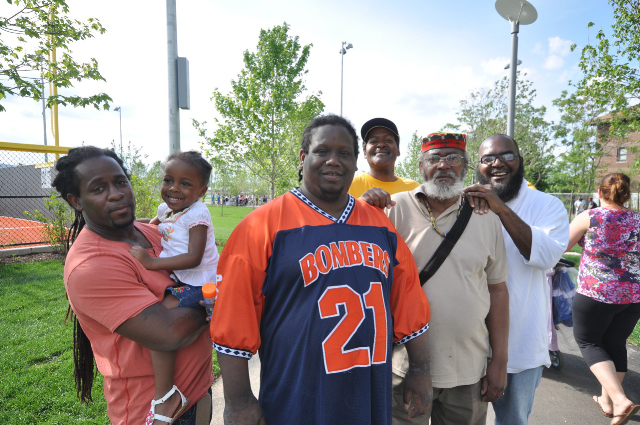 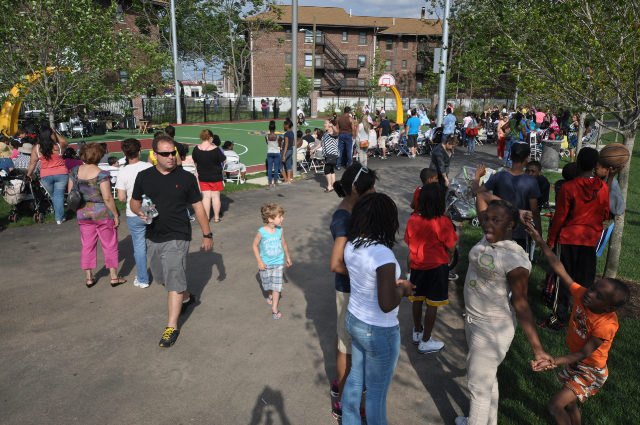 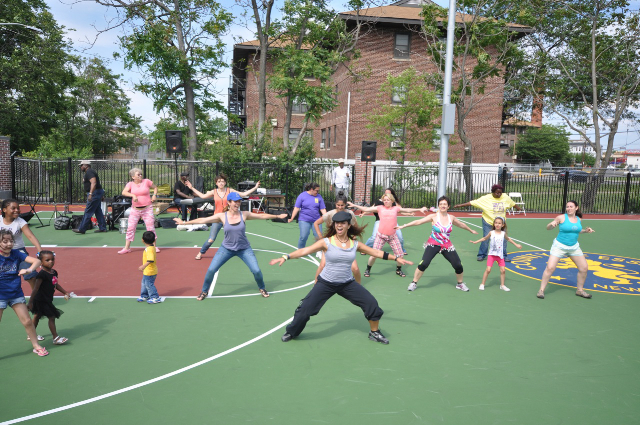 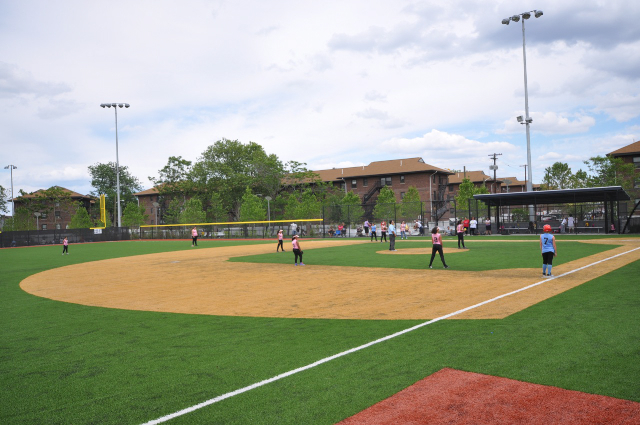 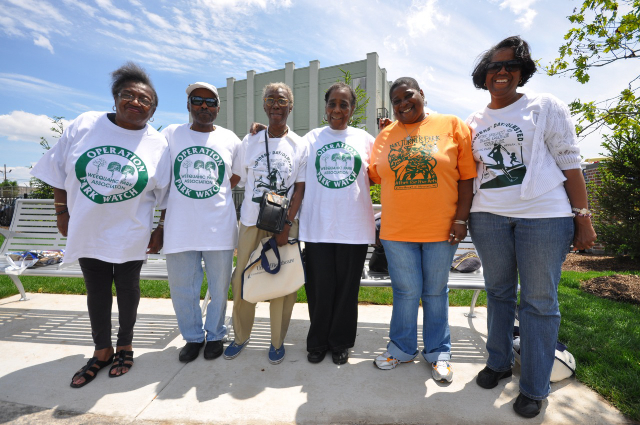 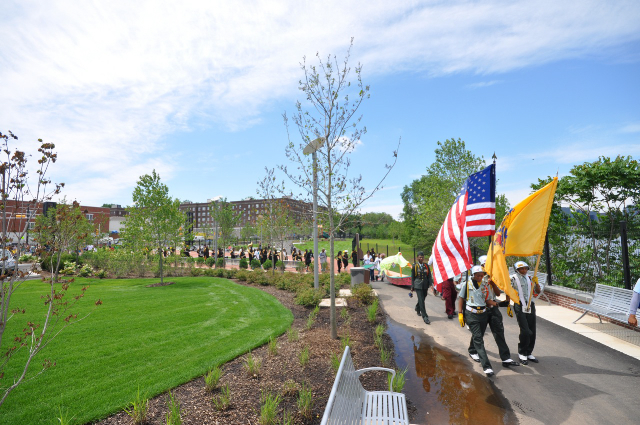 On Saturday, June 2, hundreds and hundreds of Newarkers and visitors gathered to celebrate the new Essex County Riverfront Park with style. 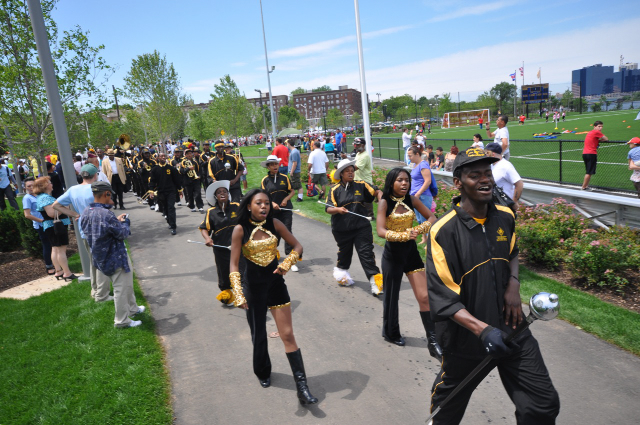 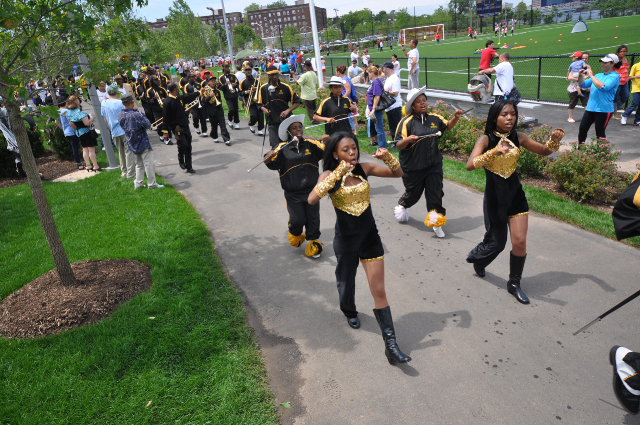 The Malcolm X. Shabazz ROTC & Marching Band led the Walk to the Water into the park. 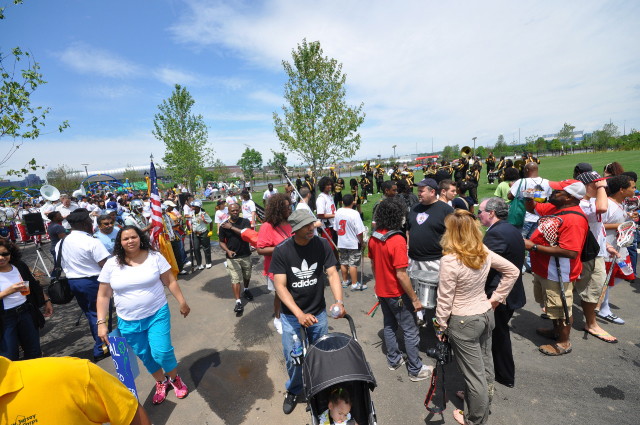 Two trumpets and a drum performed the National Anthem and famed historian of Newark Dr. Clement A. 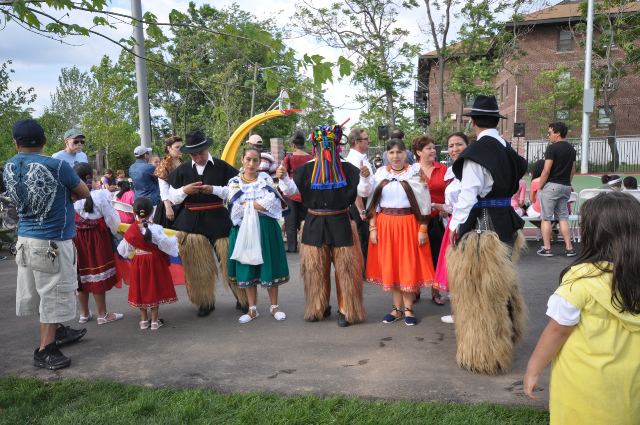 Price reflected on the meaning of the day. 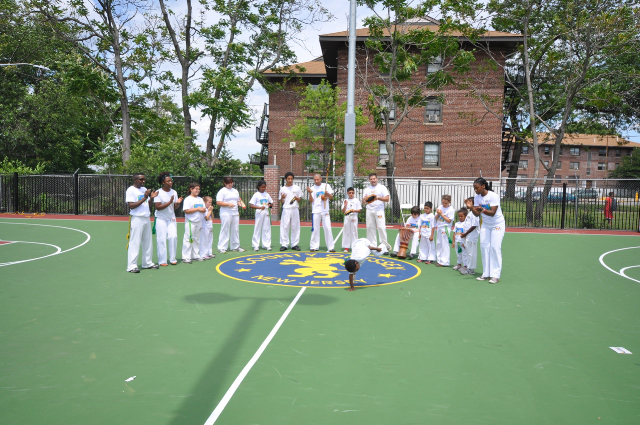 Capoeira demonstration by Grupo Liberdade de Capoeira and drum circle led by Joni Wellness. 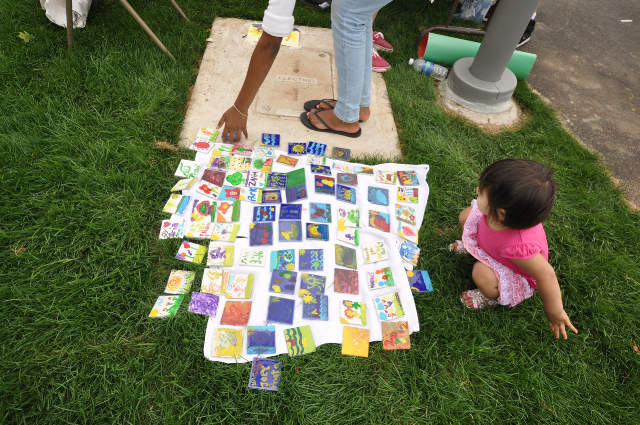 Tiles painted by young and old sharing their experience of the day, to be used in the future as part of a riverfront public art project and East Side High School Winter Guard! 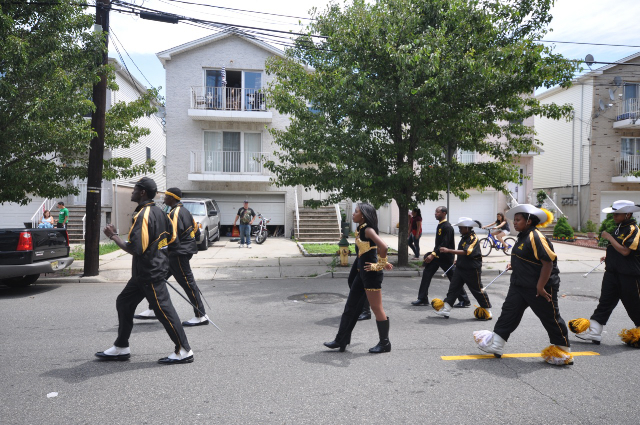 Oliver Street School Step Dancers! 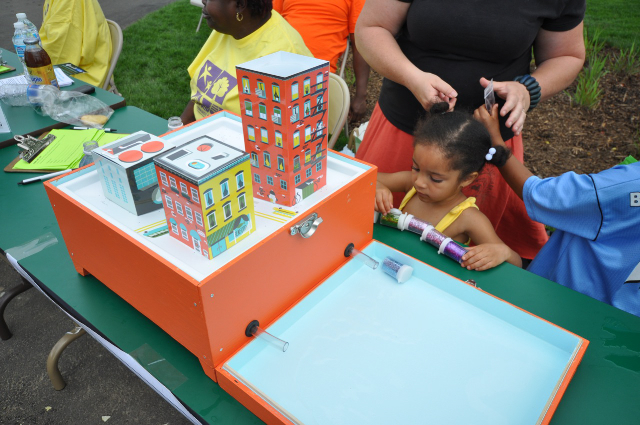 and The Trust for Public Land brought something called a Sewer-in-a-Suitcase to help us understand something called Combined Sewer Overflow! 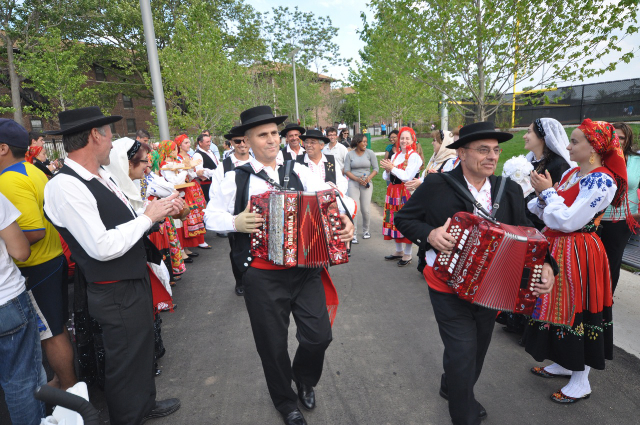 Traditional Portuguese musicians & dancers! 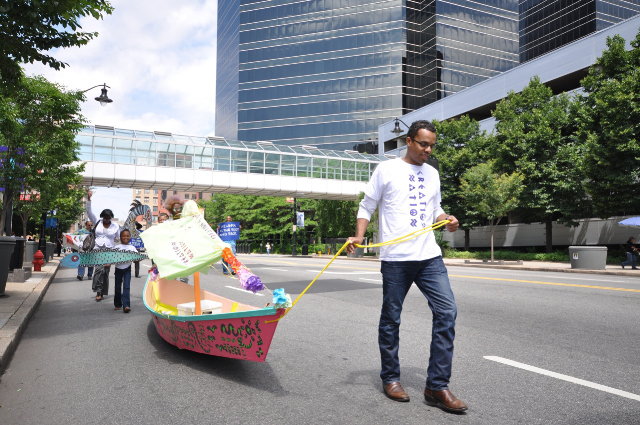 Yoga class and a hand-made Portuguese boat! 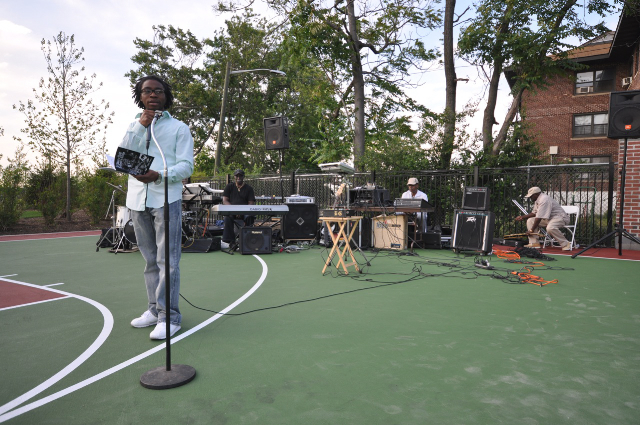 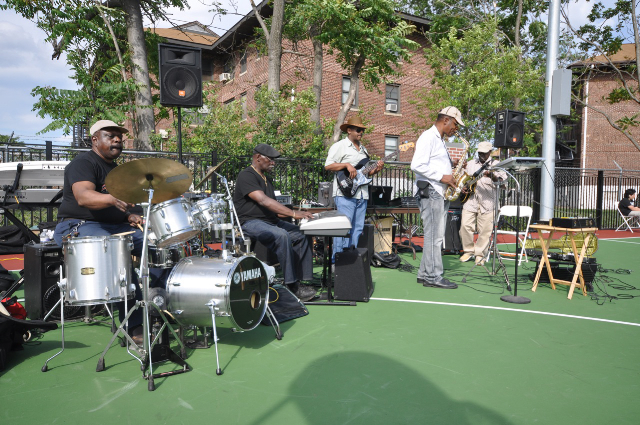 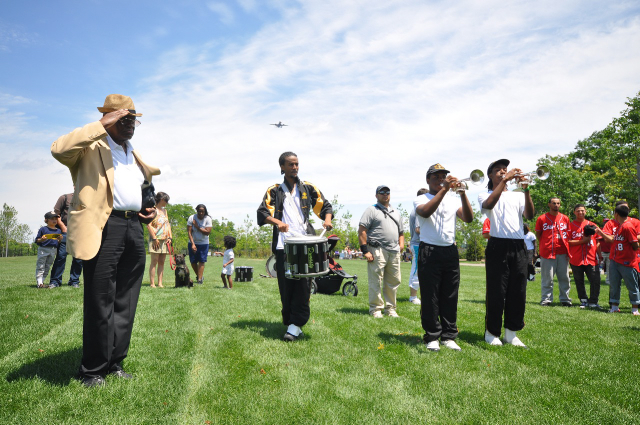 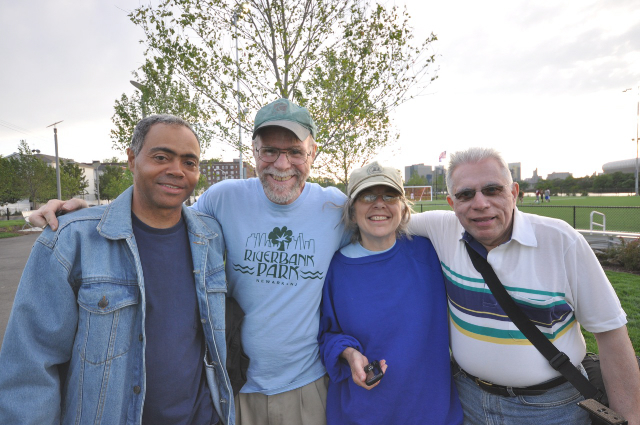 Bill Good & the band, and Weequahic Park Association was in the spot! 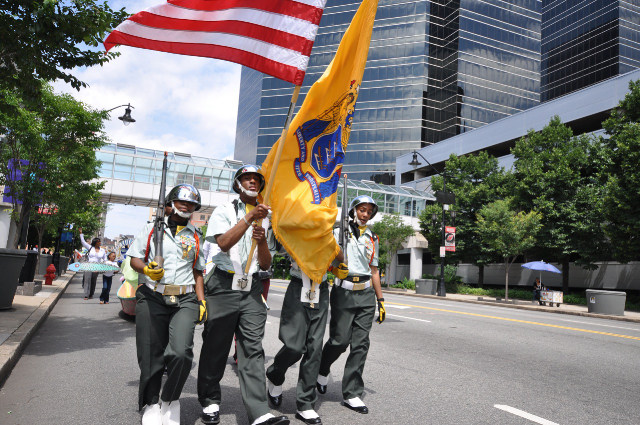 This entry was posted in Public Programs on June 5, 2012 by NRR. 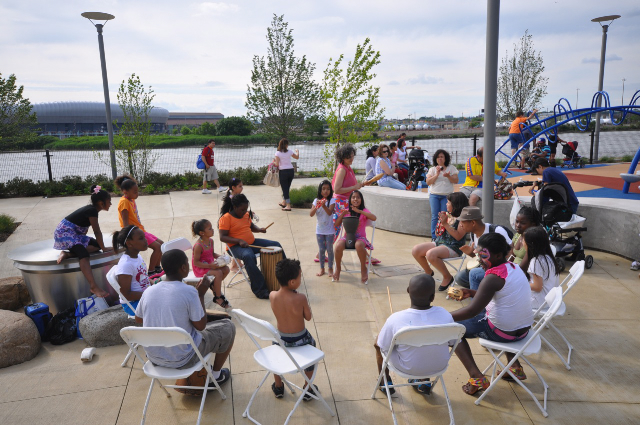 We are happy to release the revised draft of Newark’s River: Public Access & Redevelopment Plan. 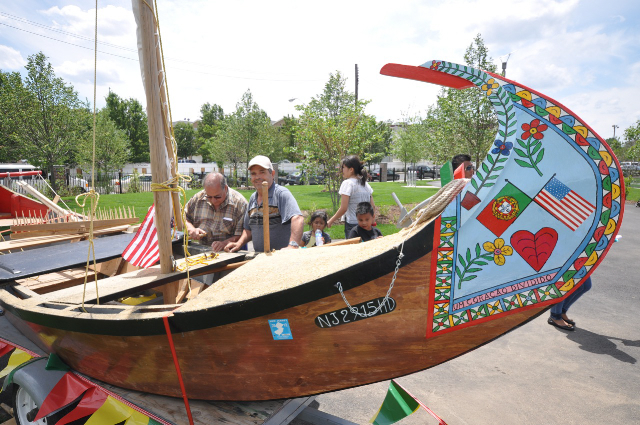 This plan updates Newark’s municipal development regulations along five miles of the city’s Passaic Riverfront. 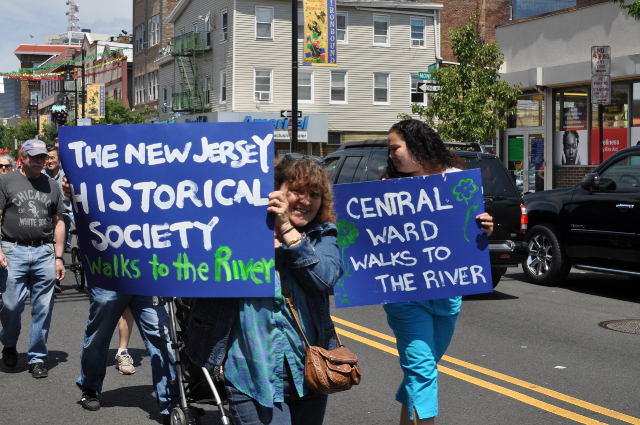 It replaces fifty-year-old zoning regulations primarily planned for industrial uses and lacking specific riverfront provisions with a legal framework that allows new uses and mixes of uses, consolidates design standards to create valuable urban places, and provides for public access as required by federal and state law. 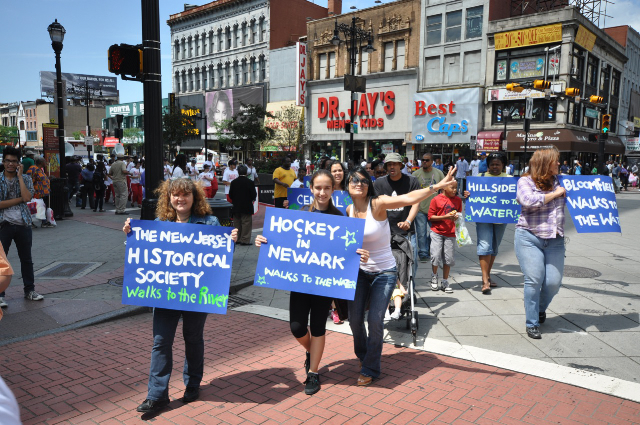 Following the release of the public draft on February 27, 2012, a public information session was held at Newark City Hall on March 13, and public comments were collected until March 26. 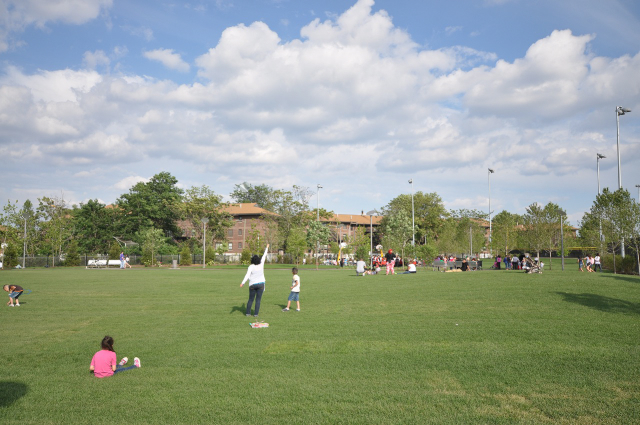 The revised draft represents many small changes made in response to these comments. 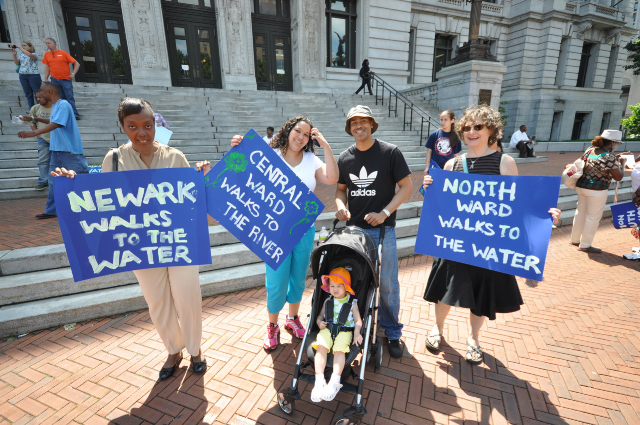 A hearing on this plan is scheduled before the Newark Central Planning Board on Monday, June 11, 2012, starting at 6:30 pm at Newark City Hall, 920 Broad Street, in the 2nd floor Council Chambers. 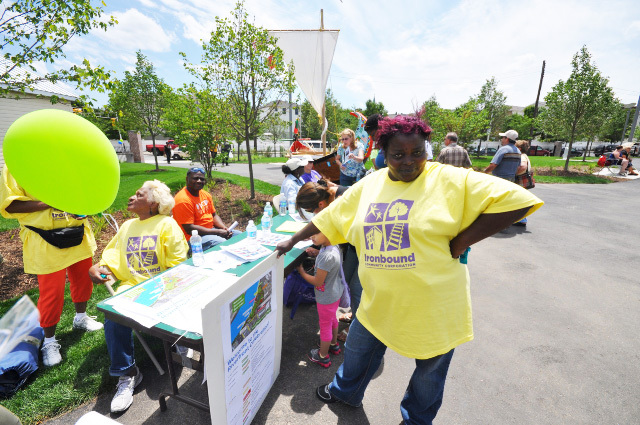 Download the revised plan here (PDF, 17 mb). 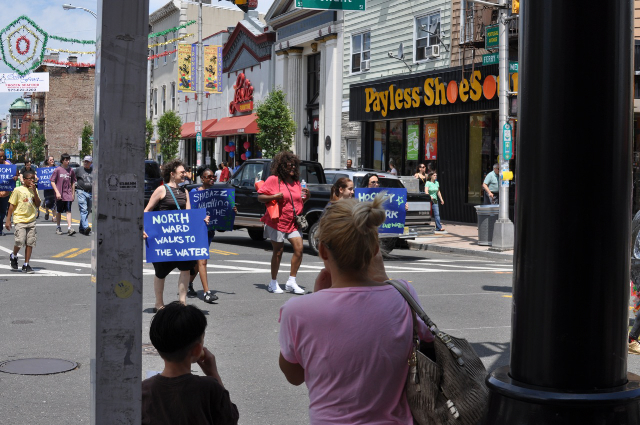 Download a synopsis of public comments & responses here (PDF, 150 kb). 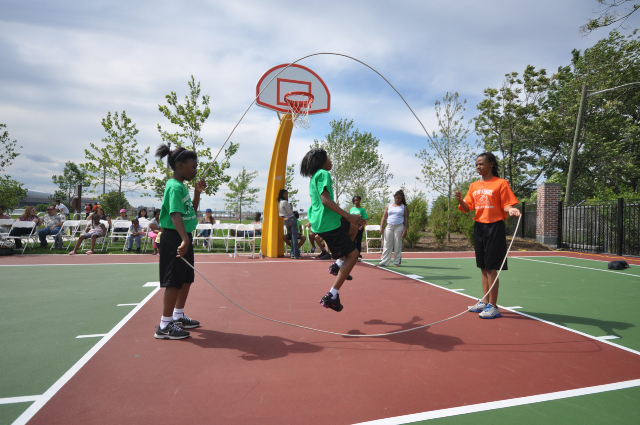 This entry was posted in Rules for Development on June 4, 2012 by NRR.